Wow, I can't believe that it is already Tuesday. I know that sounds crazy. But, I spent this past weekend at a stamp retreat. It started Friday @ 3p and we finished everything up at 1p on Sunday. To say that I had a fabulous time, is a total understatement. I truly enjoyed myself. It gave me a chance to craft uninterrupted for the whole weekend. No, 'when's dinner? ', or 'can you take the dog out? ', and even, 'did you wash my hockey stuff?'. It was truly delightful!!! But, now it is time to share another creation for Nacho Average Challenge. 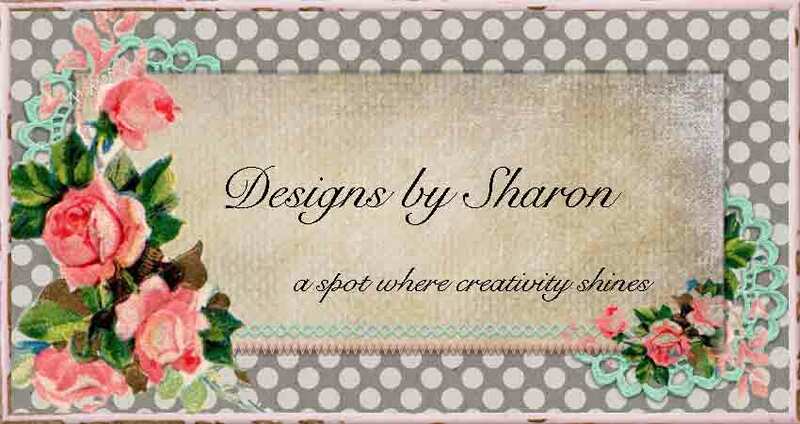 These talented ladies will inspire you with Stampin' Up! current products. Please join us with this weeks challenge. It's a color challenge. Here is the color board. I am a super big fan of pink and brown. Don't know if its the contrast or the creamy dreamy colors together. Either way, it's a favorite. 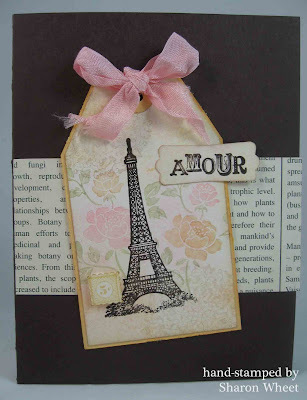 I wanted to use two of my all time favorite stamp sets: Artistic Etchings & You Are Loved. I also love the technique of masking. I think it really helps give your craft some depth and a lot of visual interest. That is exactly what I did, to keep the flowers from being on top of the Eiffel Tower. I used my markers to color the floral images. I also used little bits of So Saffron to help accent my card; the tag matt, and the tiny postage stamp. I thought the postage stamp really added balance to the 'AMOUR' tag. I used Pretty in Pink re-inker to 'color' my very vanilla seam binding. I also crinkled it. I just LOVE the look of worn, tattered look of the seam binding. 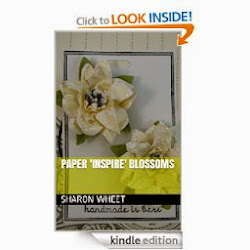 I think it gives my paper crafts a 'vintage' look. 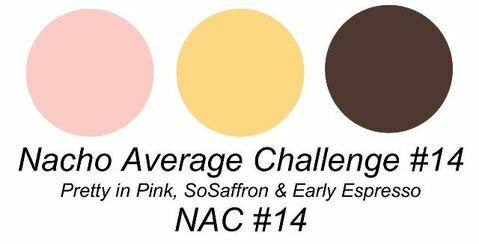 Please play along with us @ Nacho Average Challenge. We hope we have inspired you!